I ended up with this mess. It's kinda cool, thought you might like it. This is going to be laggy when loading levels, and really messed up. Haha! No offense, but epic fail with the level borders. ;P But hey, I couldn't do any better. But seriously, this is so fun to play with. Great job! Edit: Off topic, is that how you spell "Giant" where you are, or are you just not perfect at spelling? Just curious. Edit again: Click to view another epic fail. No offense, again. Just look at the top-middleish left, top middleish, and top middleish right of the picture. It's an epic fail. The whole thing is totally messed upl. This is like 15 mins of work, and 15 hours of testing how badly I beeped up this game. The Level feelings get really messed up... just look for them. Oh and the black market? it's epic. I mean how many exit doors can one level have (answer: 34 by my counting) thats a lot of angry shopkeepers waiting to kill you. Heck I had to give you 99 ropes every level just to make it so you couldnt' get stuck as offen as you used to. A mobius strip is called a one-sided circle too. 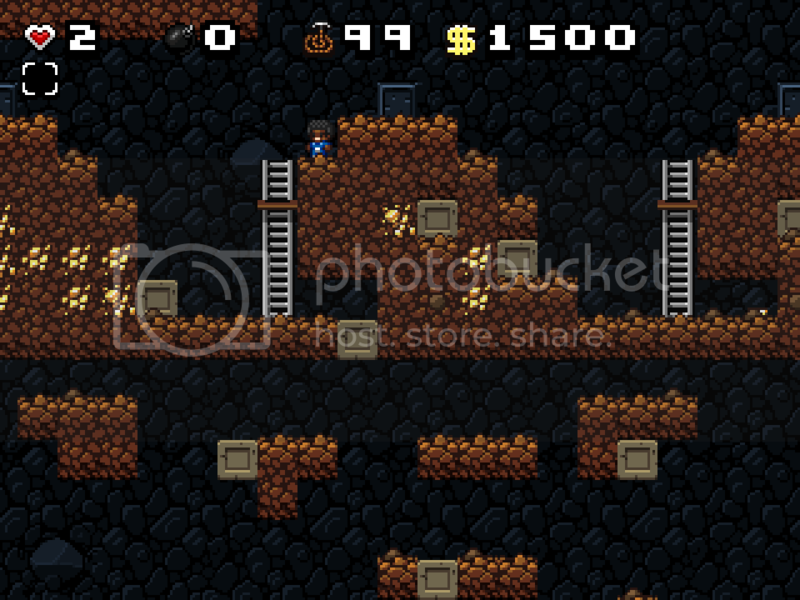 a Spelunky with... a wrapped screen? I ran into in area 1? In the castle/ice thingy there was a shoe. Yes yes it was. this mod is odd. And you could do a warpped spelunky, it wouldn't be that bad. really odd tho. I modified my post. Look at the linnk. Ok what you tried to do was link to you computer. If that worked, I could get to any file I watned on any computer. I know it's easy to make that error but think, how could we get to this file if it's on your computer. now upload that file I want to see it. Did you by chance read the topic before you made that post? Of course not. Commenting on things that have already been answered is a terrible habit of mine.